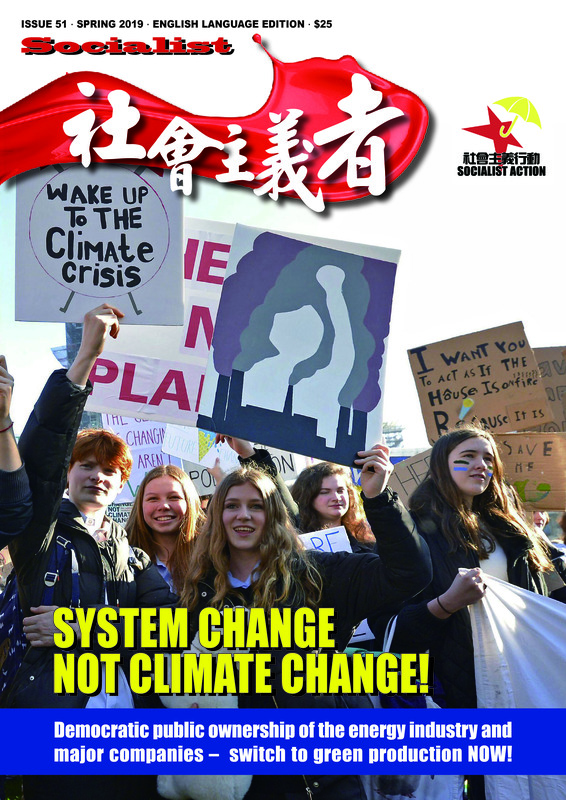 Chinaworker.info – May Day 2015: Workers of the world unite! May 1 is the traditional day for celebrating the international struggles of the workers’ movement. 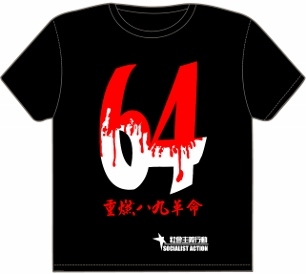 Since its origins almost 130 years ago, May 1 has been associated with internationalism, socialism, and fighting for workers’ rights, especially the 8-hour working day. In the 21st century these demands remain to be fought for. Since 2008, there is a deep crisis of the global capitalist economy which has led to new attacks on the working class through casualisation, outsourcing and austerity. Working class people need to mobilise and march on May 1, to build their organisations, and discuss how the struggle to defend workers’ rights can go forward. Workers losing out – socialist policies needed! Hong Kong: Anger grows as the ‘capitalist paradise’ of Hong Kong increases the exploitation of grassroots workers. Working hours are so extreme that many working parents barely have time to see their children. Real wages have flat-lined for 15 years and haven’t kept pace with the cost of living. The ‘umbrella revolution’ of last year was not just about lack of democracy but also about lack of affordable housing, lack of decent jobs, lack of a future. According to the government one in ten young people (aged 15 to 34) are “working poor” earning less than HK$8,315 per month. More than 1.3 million Hongkongers – or 18 percent – live below the government’s new official poverty line. Non-government groups like Oxfam say the reality is far worse. Worldwide: Workers everywhere face attacks on wages and jobs with the non-stop wave of casualisation and outsourcing. Governments are pushing through new anti-union legislation everywhere from US states like Indiana and Wisconsin to South Korea. May Day protests need to focus on building fighting democratic unions and laying the foundations of mass working class parties to take on and defeat the capitalist politicians. Worldwide: 70 percent of the world’s poor are women and women workers have suffered most since the global capitalist crisis began in 2008. In crisis economies like Greece women’s unemployment shot to 31 percent as jobs were slashed, spending on childcare and education was cut and employers refused to honour laws on pregnancy and maternity leave. In China the fledgling women’s movement has become the latest target of dictator Xi Jinping’s crackdown on independent political activity and opinion. A woman’s place is in her union, and women’s struggle for equality and an end to sexism and oppression is a powerful motor for rebuilding and strengthening workers’ organisations. Hong Kong: Women in Hong Kong still earn only 78 percent of men’s earnings on average. The Hong Kong government’s refusal to use its giant cash pile to fund decent services means that nine out of ten couples say they don’t want a second child because of the lack of subsidised childcare places. 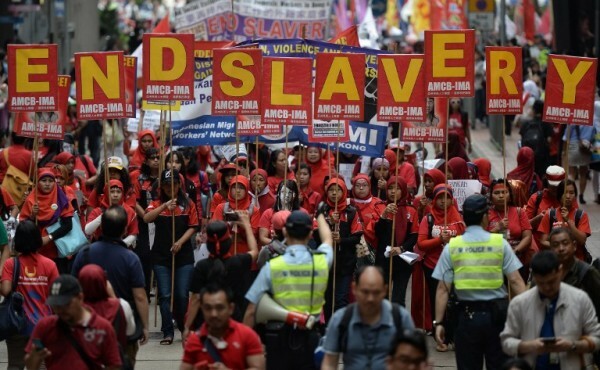 Migrant women workers in Hong Kong have a proud record in protesting violence against women (the Erwiana case and others). They deserve the support of all workers! Hong Kong: The city’s tycoons have had another good year, with Forbes magazine reporting they increased their combined wealth to $248.8 billion (HK$1.92 trillion) from $213.7 billion (HK$1.66 trillion) a year ago – an increase of 14 percent! No wonder the super-rich fully support the CCP (Chinese Communist Party) dictatorship and its refusal to allow real elections in Hong Kong. This would, as Hong Kong’s Chief Executive CY Leung blurted out during the umbrella movement, mean government policies would be “dominated by the poor”! Li Ka-shing is now worth US$33.5 billion (HK$260 billion), which is a sum greater than the GDP of Bolivia or Jordan. Li’s fortune could fund Hong Kong’s total health expenditure for almost four years. More and more are waking up to the fact that this extreme wealth accumulation has nothing to do with “hard work” and “cleverness” but is the result of powerful connections and a government that only serves the rich. Housing policies especially have become a tool for funnelling ever more wealth to the billionaires. This, while more and more are crammed into partitioned flats and the public housing queue stretches into future decades. In a recent poll, 77 percent of people said they can’t afford to buy an apartment at today’s prices (South China Morning Post, 23 March 2015). Worldwide: The world’s super-rich have gotten richer even though their system crashed in 2008 and plunged whole regions of the world into crisis. Oxfam reports that by next year, 1 percent of the world’s population will own more wealth than the other 99 percent. Such extremes of wealth inequality have never been seen before and more and more are saying ‘enough’ – and looking to fight back. Worldwide: The world becomes a more dangerous place with wars in Syria, Iraq, Ukraine and Yemen. Millions have been driven from their homes – half of Syria’s population is displaced. Refugees face persecution and criminalisation even when they flee to ‘safety’ – as for example under CY Leung’s heartless government. Corrupt dictatorships, wars for oil, and the catastrophic failure of US ambitions to be “the world’s policeman” have created this destruction. Within the US, hundreds of cities have risen in protest against racist police shootings rekindling an anti-racist and anti-establishment movement not seen since the ‘civil rights’ movements of the 1960s. May Day is the day of the international working class and should be used to show that internationalism, working class solidarity and socialism are the alternatives to a world in chaos. Hong Kong: That Hong Kong’s establishment is steeped in racism is shown by the incredible outburst against Filipino women workers by Regina Ip. Racist and sexist ideas are a threat to all workers – by trying to split us – and must be answered by united struggle. The same goes for the scapegoating of ordinary mainland Chinese visitors and people. What’s needed instead is a united movement against the government’s pro-rich policies which have created shortages and collapsing services in Hong Kong. Socialist Action campaigns for a new workers’ party with a mass membership and a socialist alternative to the chaos and misery of capitalism. Together with like-minded organisations and parties organised in the Committee for a Workers’ International (CWI) we will march on May 1 in more than 40 countries. Our voice will be as one: Capitalism, racism and dictatorship must go! The CWI, and its well known elected Seattle councillor Kshama Sawant, has played a pioneering role in the struggle for a US$15 minimum wage in the US. As the first city, Seattle adopted the US$15 minimum last month while 60,000 fast-food workers and others staged a nationwide strike on 15 April. CWI comrades in Ireland are leading a nationwide mass non-payment campaign against a new government water tax that punishes workers to save the capitalists. In Britain, CWI members are mounting the most extensive challenge to the big business parties (which includes Labour) in national elections on 7 May, in an alliance with socialist trade unionists called the Trade Union and Socialist Coalition (TUSC). 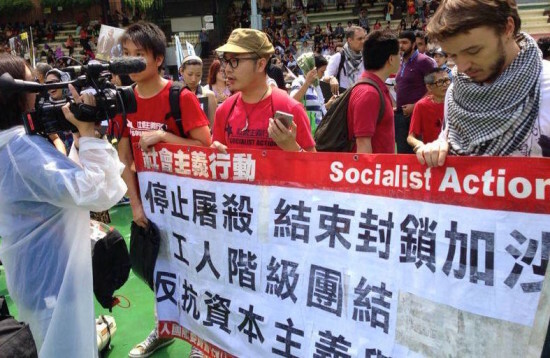 Socialist Action stands for full and immediate democratic rights and an end to one-party rule in China and over Hong Kong. But we link this to the struggle to break the power of the capitalist “1%” over the economy – to take the major companies and banks into democratic public ownership and use this to plan for real jobs, cheap housing, and massively expanded public services. Socialist Action and the CWI plays an active part in today’s immediate struggles – for a cut in working hours, for a living wage, against racism and discrimination – but we also link these issues to the need to change the system – for international socialism!